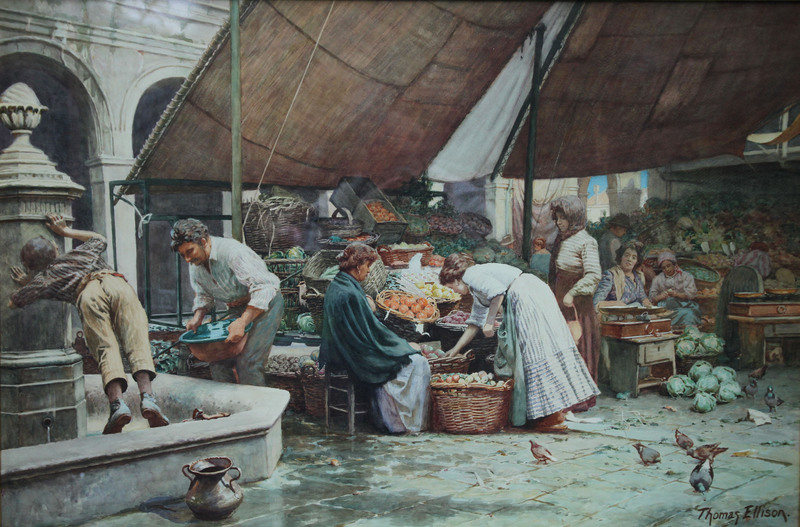 A fine, large watercolour by British listed artist Thomas Ellison who exhibited at The Royal Academy and the British Art institutions. It is a busy scene depicting the market at Venice with many characters. 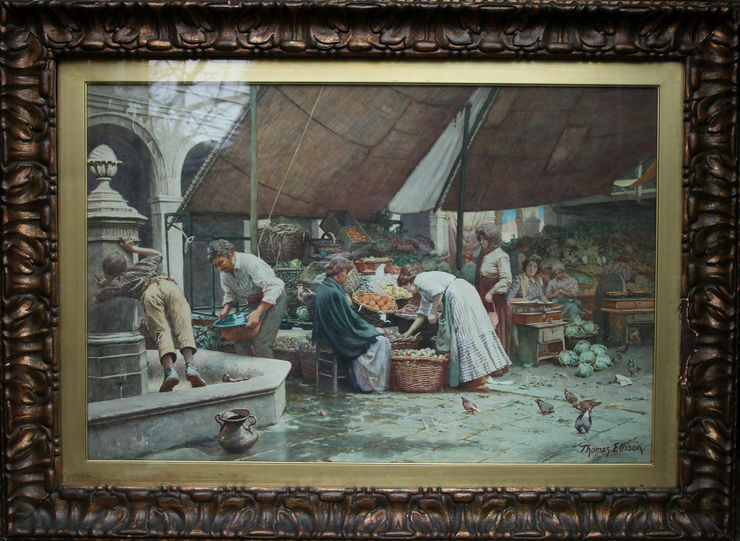 Painted circa 1900, it is a stunning example of an early British watercolour of the period. The subtle colours are just beautiful. It is housed in a fine period frame behind glass. Very vibrant and in gallery condition. Midlands collection. Original artist label and details verso. Exhibition No 1 verso. Framed in a period gallery frame 45 inches by 34 inches. Excellent gallery condition. Thomas Ellison (1866-1940) was a landscape painter from St Helens in Lancashire 1896 and Glan Conway in Wales in 1907 and Wrexham in Wales in 1921. Exhibited Birmingham 1, Liverpool 75, Manchester 1, Royal Academy 11, RCA 185, and Royal Institute 6.